A definitive app for changeable icons and wallpapers! 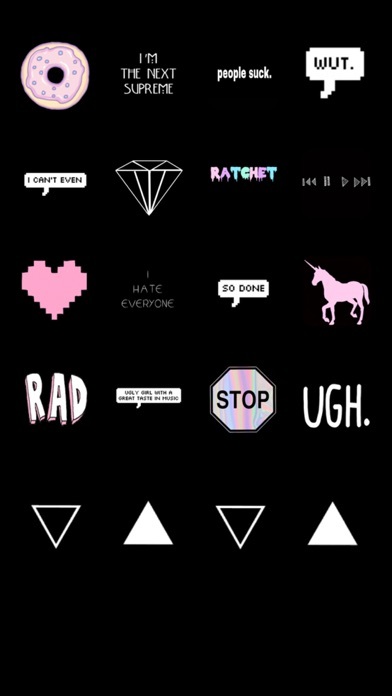 With 1,500,000 icon and wallpaper designs, the combinations are limitless :) With these cute icons and wallpapers, completely redress your home screen! 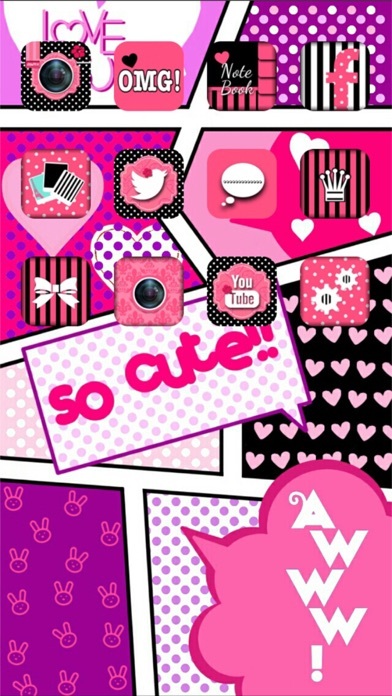 Check out the icons and wallpapers that are taking the world by storm! ▼Especially recommended if you - want to make your app icons cuter. - want more stylish wallpaper. - want your favorite character icons or wallpaper. - want to change your icons to pets or entertainers. - want a cute SNS cover photo. 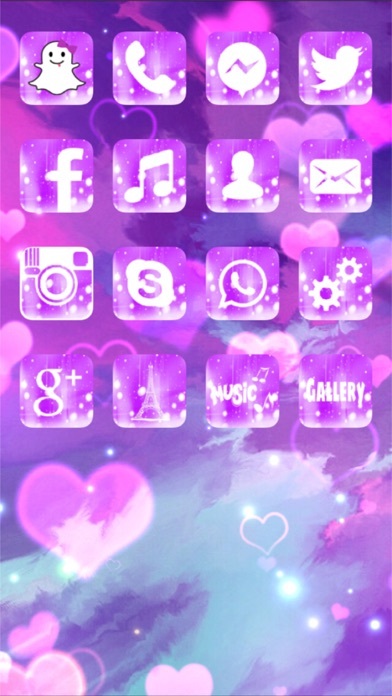 You can use all the cute icons and wallpapers you want for free, so the sky's the limit! Icons and wallpapers are posted by creators from all around the world. We assure you will find ones you like! ▼Customize All Find your favorite Home Screen Packs in the [Lounge] and download them all at once. 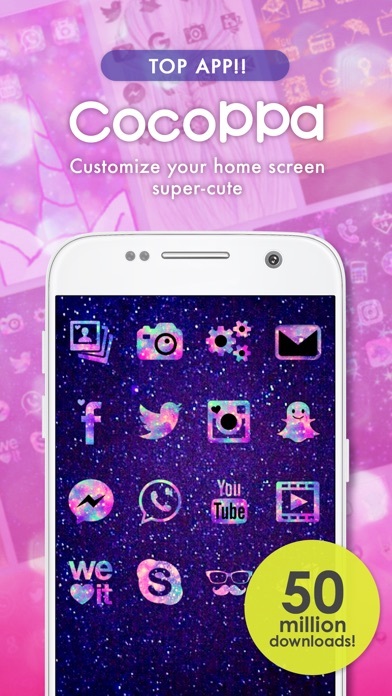 ▼Cutest icon changer ever Cutify your home screen with CocoPPa's kawaii icons and wallpapers, for free! We have a line-up of cute icons, from popular app icons used by everyone for Facebook, Instagram and other apps, including default apps like phone, email, browser. Enjoy your customization life icons and wallpapers! ▼For Creators.. Thank you very much for sharing your design! We always welcome your icons and wallpapers :) ▼Make friends around the world Because it is a favorite application in the whole world, I can talk with an illustrator making a nice icon or wallpaper, I can make a request. I am glad about the translation function! 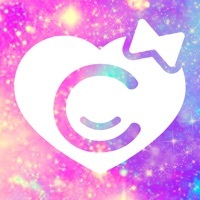 ▽Attention CocoPPa is a tool for creating shortcut icons. Shortcut icons will no longer work if the apps linked to them are deleted. Please note that we hold no responsibility for apps you delete by mistake. Inquiries about the app can be directed to the addresses below. ▽Contact ・For user [email protected] ・For business [email protected] # CocoPPa is a trademark of UNITED, Inc. So when I was using CocoPPa,It’s was great!Things were on track,Everything was great!Until I experienced some low battery stuff.Every 3 or 5 minutes,My IPad was dead! !Seriously!Please change this virus please! Keep going!!! It’s a great app and you can change the icons, have great backgrounds and everything, even post your own!! i just makes icons that takes you to safari, safari asks if you wanna open said app. useless...plus after i downloaded this i also got some coin pirate game i didnt want i didnt even know apps could do that. delete. I think that this app is a pretty nice app because it has like it has apps to replace the ones on your phone and it has very pretty wallpapers. I’ve been looking for so long to find a app like this it’s amazing, the only thing I don’t like is that if you delete safari then you can’t use the CocoPPa app. I like it, it’s just that there’s only a decoy of an app on your homescreen. I was too excited for this then I got let down. Try to make it be the real thing. CocoPPa is not the same anymore I used to be faithful to this app but it’s not even as cute as it used to be sorry but I’m not a fan anymore guess whoever had it may have sold it but it’s just not the same. CocoPPa installs a browser hijacker onto your mobile web browser without your permission and makes ad revenue off of it. You cannot get rid of the browser hijacker unless you delete the app! Please don’t get scammed, there are plenty of better alternatives! I’m trying to connect it to my CoccaPa Play acc! But it’s being stupid! And when I say stupid I mean stupid!! I love the app and what it does (I had it before) but now I have restrictions on my phone to keep me away from bad games! But the age restrictions need to be changed to 4 ASAP!! I would love to use this app again but it is restricted 🤯 it’s not inappropriate in any way?!?? Please change it!!!! Downloaded this to preserve my CocoPPa Play account but it keeps crashing whenever I try to log into my fb account. Very annoying!!! There are a few issues but i love the app so it’s not that big of a deal to me. I haven’t seen any other app like it. It’s fun and truly gives you the ability to customize the look. Ok don’t get m wrong,this app is AMAZING and it works!but there are some new games I have so I try to get a cute app cover,I type it in and there is nothing for it....and I can’t find some of the apple apps that come with the iPad like camera,But I can’t find the original camera that comes with the iPad!so please try to fix this,but on the bright side, there are MILLIONS of cute wallpapers and app covers and my favorite thing about it is,IT WORKS!ty for reading my review, have a nice day! This used to be the best but now once you’ve set up your icon on the home screen it just gives u a LINK TO TAKE U TO THE ACTUAL APP! DISAPPOINTING..
App keeps crashing every time I log. This is full of bull because I’m able to use the app on my tablet. Does not work with iPhones very disappointing. Ok so I am 12 years old and I have had this app since I was like 7! When I was 9 or 10 my mom decided to get an app that would block every 17+ game/app. It also blocked this app but I still had it on my phone. I don’t have it but it says that I do? Also the rating is very unreasonable! It’s just supposed to be a fun app with cool wallpapers and icons. I don’t understand why you would put it as 17+?! Please respond. It literally won’t even let me login on my Facebook account. I go to login and it just keeps crashing. This is a good app, it’s creative and transforms your phone but it doesn’t work for every app. When I try to customize my apps, it only allows a few to be customized. Also, some of my shortcuts don’t work. Please fix this and add more apps. It’s super aesthetically pleasing when I get my design right, It looks nice and I get compliments! I do have a problem though.... I may delete the app because I can’t just go straight into the app. It feels sketchy and it’s such a hassle. I also can’t just use an icon that I like and pair it with an app on my phone, it has to be something on your list, and even then. Snapchat wouldn’t even open. Lovely idea, but would not recommend even to a stranger. Ok first off I LOVE this app so so so much. I love making wallpapers and it's just super fun when I have free time. BUT I have tried SEVERAL times to create backgrounds and icons of my own. I have original designs and take my time to create unique patterns. The issue I have is when I post 20+ backgrounds/icons (yes I know I need a life) to be reviewed and wait nearly a week for the public to see only to have them be rejected and changed permanently to private. This is super annoying and I hope you can understand my frustration when I put my time and effort into my creations only for them to be rejected because they "don't agree with the accordance of terms"... So yeah I'd love for the world to see my designs but I have only been able to actually post 3-4 icons and no wallpapers. Thank you for taking the time to read my review, and I'd be extremely appreciative if they fixed this problem. When I make my app, instead of going straight to the app, it goes to safari and says would you like to open the app. Please help? So today I got this app and I was really EXCITED even tho I wanted to try it AND it took me to SAFARI and I looked it up and THATS WHY it keeps on taking me to SAFARI😡😡😡😡😡😡😡😡😡😡😡!!!! 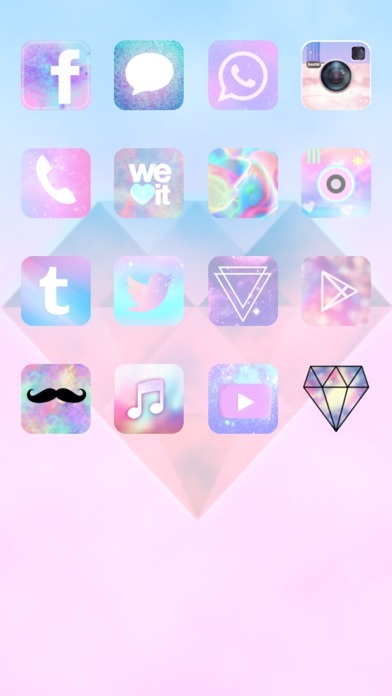 Like why I wanna have fun on the app but NO and yesterday I watched a YouTuber teaching me how to get your apps different colors which is was THIS APP but am not trying to be rude to the creators who made cocoppa plus am not an OLD LADY who is say “LET ME TALK WITH UR MANGER OR I BREAK IN” so yeah not trying to be rude OR being an old lady byeeeee!!! So, I downloaded this app and I was SO excited. But guess what! There are no apps to link the shortcuts to! Why???? Please add Tiktok. This app is horrible, not only does it always have an error, but it just makes a copy of the app and add less storage to your platform! I hate it. I think the overall message is really good. I wanted to make my phone look cool, instead, it just connects every icon you try to make into a safari search bar. I'm sorry, but I would not recommend this app to anyone.